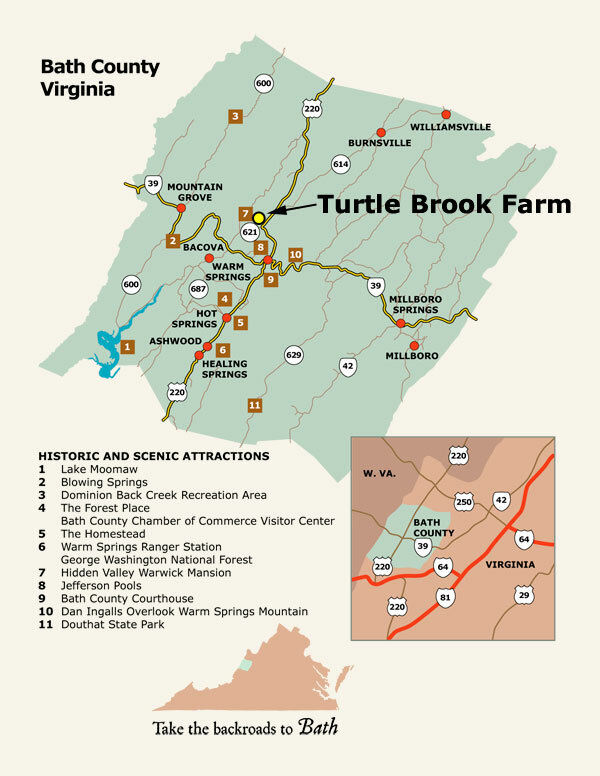 Turtle Brook Farm is conveniently located in central Bath County at the intersection of U.S. 220 and Rt. 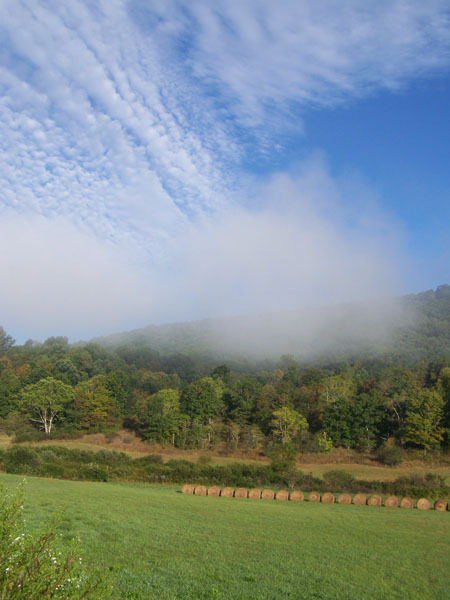 621, 2 1/2 miles north of the county seat of Warm Springs. Approximate drive time from Washington D.C. area, 4 hours; Tidewater, 5 hours; Richmond, 3 hours; Roanoke, 2 hours; Charleston 3 hours. Traveling north on U.S. 220, turn left on Rt. 621 and turn into the farm about 200 yards down the road at the second driveway on the right. Traveling south on 220, turn right on 621 and right into the driveway. From the east, travel scenic Rt. 39 to its intersection with 220 at the bottom of Warm Springs Mountain. Turn right (north) to 621 and follow directions above. From the west, follow 39 to 220 and turn left (north) on 200 to 621. If you want additional information, call us at 540-839-6646.